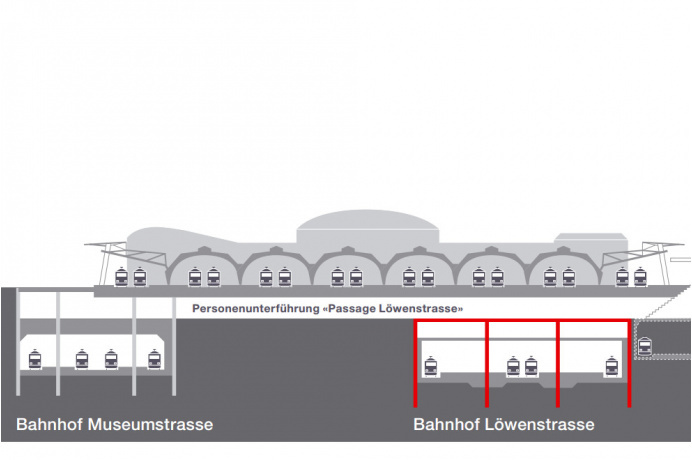 The “Löwenstrasse” station under Zürich’s busy main station is part of the bigger “Durchmesserlinie” project aimed at substantially boosting capacity on the east-west regional and main lines and thus making Switzerland’s most important railway hub fit for the traffic growth expected in the next decades. 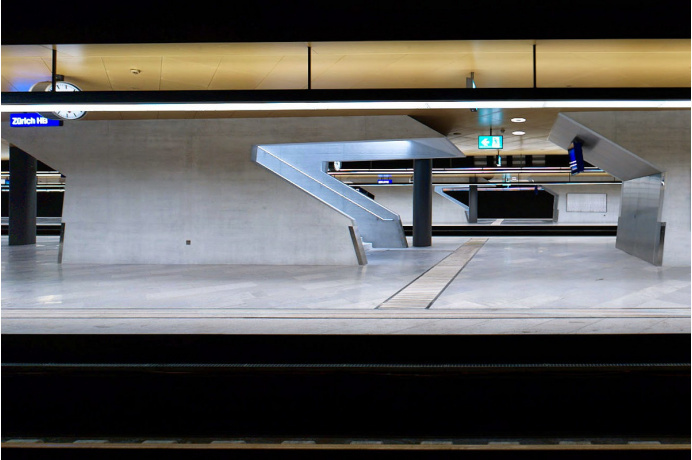 The new underground station includes four tracks and two 420 m long platforms. 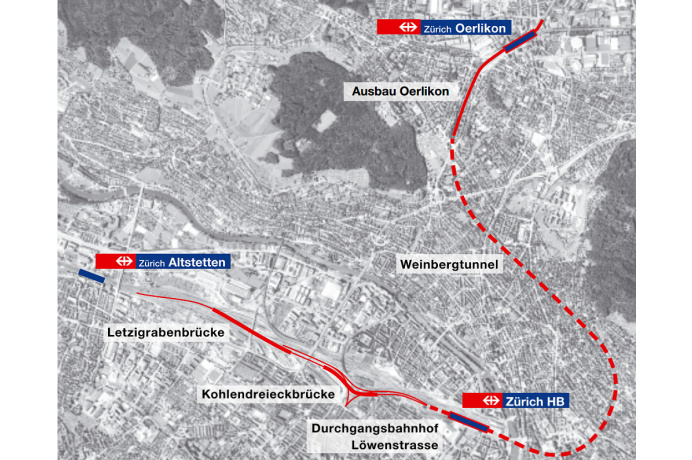 The survey tasks during the construction phase were carried out by a consortium consisting of BSF Swissphoto, Pöyry Schweiz AG and Basler & Hofmann AG. 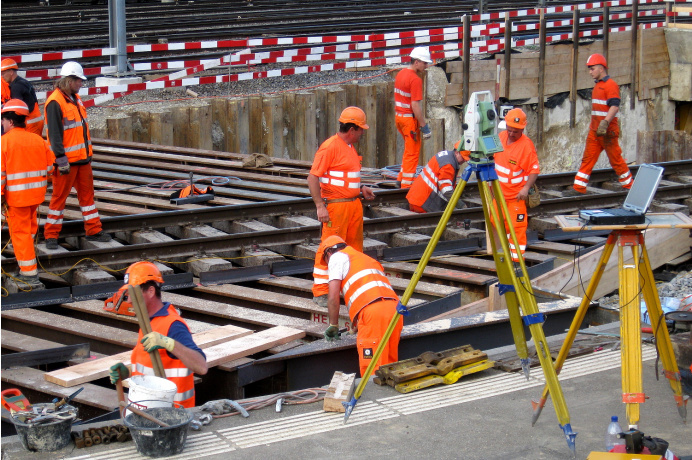 Most survey work had to be carried out under full operation of the adjacent rail lines by staff specifically trained by Swiss National Railway’s (SBB) safety department.